I am currently in preparation mode for a fly fishing trip. Dave, my podcast partner, and I are leaving in a few days for the West. Last week, I shared some tips for planning a fly fishing trip to a specific region—the area in and around Yellowstone National Park. In this post, I want to zero in on what I do to get ready for a trip two weeks in advance, what to do before your fly fishing trip. I usually make it to a local workout facility about three times a week. But when I’m two weeks away from a trip, I ramp up both the frequency and the intensity of my workouts. I take some longer walks on days when I’m not doing my lifting and elliptical regimen. Yesterday was too nice to work out inside, so I rode my mountain bike on the Des Plaines River trail and stopped to run up a long sledding hill a couple times. On my way back, I paused to look at the muddy Des Plaines River and reflect on how I’ll see clear water in a few days! I make sure, of course, not to overdo it. I intentionally do not work out on the two days before I leave for a trip. We have a hard hike planned for day one of our trip, so I want to give my body time to rest and recover from my intense workouts. When my son played college football, he had his air buds in several hours before a game to get pumped up and ready to hit the field. Honestly, I haven’t found any tunes that seem to fit a fly fishing trip. Suggestions, anyone? Maybe John Denver’s American Child would work if I was “going up to Alaska” to fly fish. But it seems like overkill to jam to Taio Cruz’s Dynamite or one of U2’s more raucous hits. So I read a good fly fishing book. It may not make the adrenalin run, but it does stir my sense of anticipation. Since I’m headed to the West, I’ve been re-reading Yellowstone Runners by Chester Allen—a memoir about three weeks of fishing the wild trout that migrate from Hebgen Lake into the Madison River. 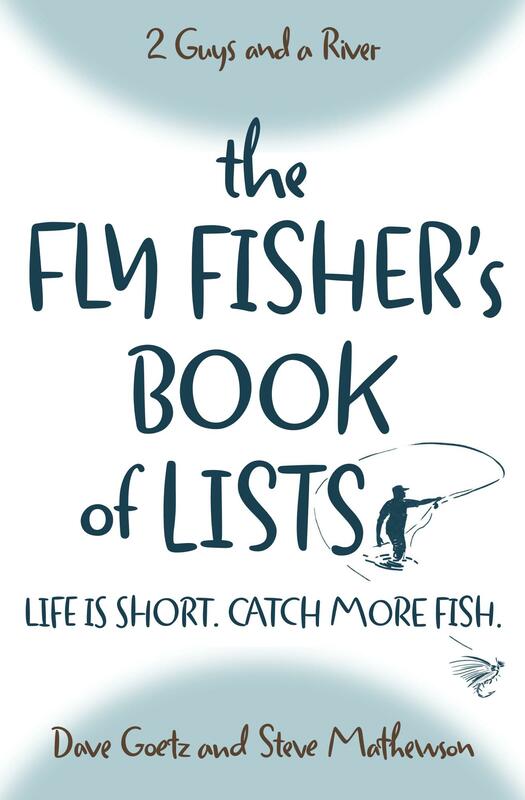 Of course, any good fly fishing book will do. This seems obvious. But if I start doing this two weeks in advance rather than the night before, I end up being a lot more prepared. My fly boxes need re-organizing, and I need to figure out if I have enough tippet material, dry fly dressing, and first aid kit ingredients. I make sure my rods are and reels are ready to go. I also set aside some of the little items that can easily be left behind — neck gaiter, thermometer, headlamp, and plastic bags (for wallets and keys on days I wet wade). Then I remember to look for my favorite hat and favorite fly fishing shirt. How can I expect to enjoy the trip if I forget them?! T-minus two weeks. What will you do to get ready for your next trip?